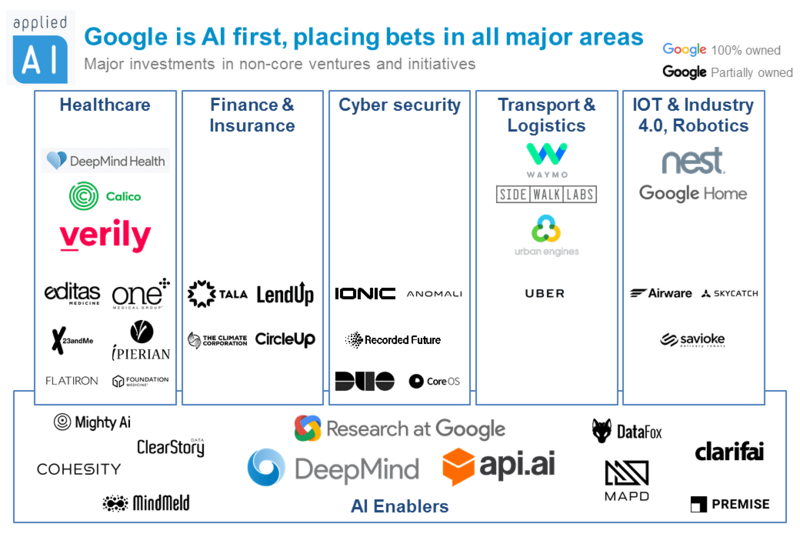 We already covered how AI is integral to Alphabet. We had left out Google. 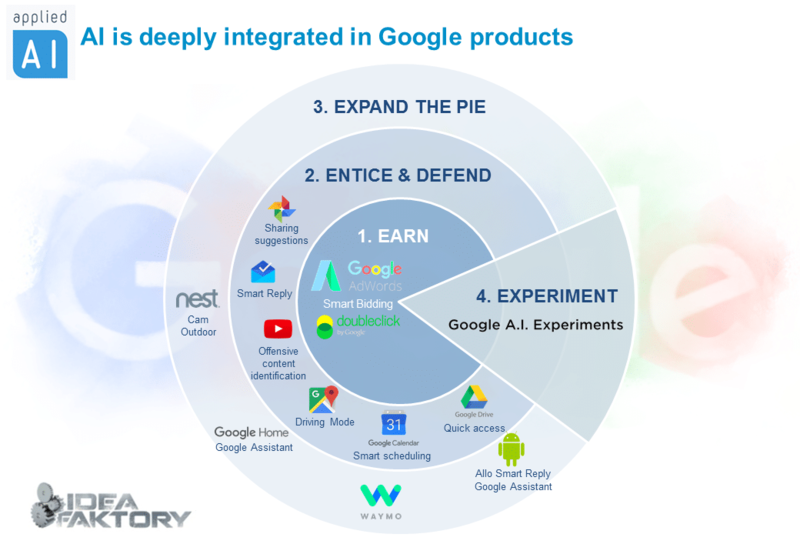 As AI is starting to power all Google products, Google deserves its own focus. We are now witnessing a new shift in computing: the move from a mobile-first to an AI-first world. From smartphone assistants to image recognition and translation, a myriad of AI functionality hide within google apps that you daily use. 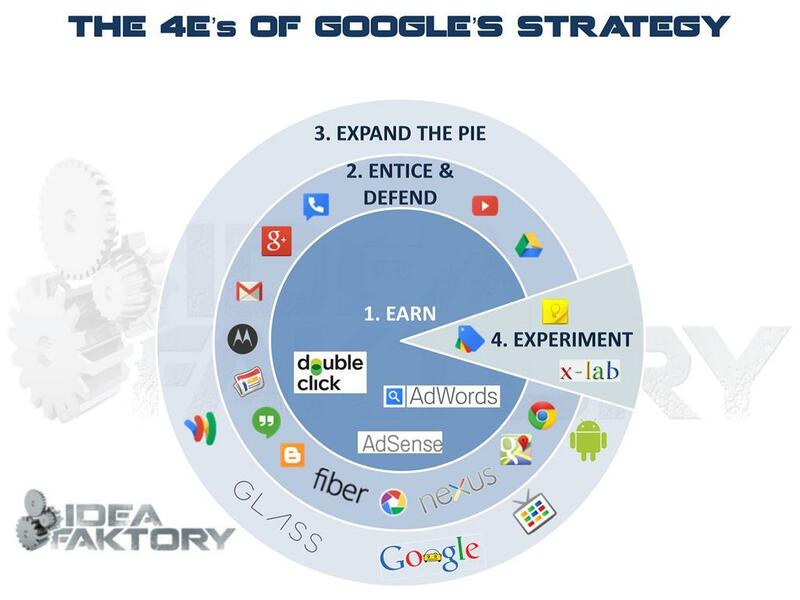 We mapped this functionality leveraging Smart Faktory’s Google strategy framework. Google the search engine is powered by AI: According to Wired’s Cade Metz; Google’s search engine was always driven by algorithms that automatically generate a response to each query. But these algorithms amounted to a set of definite rules. Google engineers could readily change and refine these rules. And unlike neural nets, these algorithms didn’t learn on their own. But now, Google has incorporated deep learning into its search engine. And with its head of AI taking over search, the company seems to believe this is the way forward. Adwords and Doubleclick both incorporate Smart Bidding which is a machine learning powered automated bidding system. Google Maps’ Driving Mode estimates where you are headed and helps you navigate without any commands. Youtube Safe Content uses machine learning techniques to ensure that brands are not displayed next to offensive content. Google Photos suggesting which photos you should share with friends. Gmail Smart Reply suggesting replies that match your style and the email you recieved. Google Drive Smart Scheduling suggests meeting schedules based on user’s existing schedule and habits. Google Calendar Quick Access feature predicts which files will be used improving performance and user experience. Nest Cam Outdoor leveraged machine learning to set up an automated outdoor security camera as explained here. For fun and experimentation you can visit AI experiments for videos on AI experiments. It can search online your flight status or the weather when you get there. Smartphone makers need to include higher quality and likely additional, microphones to maximize the performance of voice recognition with AI agents, like Google. The recent new is that it is coming soon to Android Marshmallow and Nougat phones. Touch and hold the Home button and find your Google Photos, access your music playlists and more. LG’s next strategic smartphone G6 will be featured with Google’s AI. Also, AI technology applied to LG’s new smartwatches. The product is expected to be the first smartwatch running Google’s smartwatch operating system “Android Wear 2.0.” The next smartwatch will be revealed in May. According to gizmodo Google Assistant is better than Apple’s Siri. 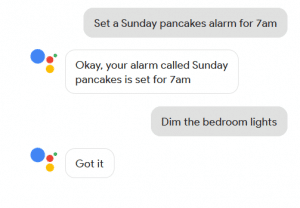 Google Assistant is getting instant answers from the web- Siri is coming with more questions. Both Siri and Google Assistant do a decent enough job of finding restaurants, bars, and other kind of businesses nearby, but Google’s app came out on top in our tests, not just on the places it returned, but on the interface: results are presented in a simple carousel and you can quickly jump to a Google Maps view. Also Google Assistant remembers what you’ve already said, speaks in foreign languages and also is much more than an assistant, despite the name: it will read you poetry, tell you a joke, or play a game with you. Google Home: you will be able to get hands-free help from your Assistant embedded in Google Home. Say “Ok Google” to get the morning news or manage your schedule. Google joined the messaging app battle with Allo. As a messaging app, Allo lets you express yourself with stickers, doodles, HUGE emojis & text. Furthermore it brings you the Google Assistant without leaving the conversation. The AI algorithm learns your style and provides more suggestions, which makes your message more ‘you’. Considering Allo’s features, you can get creative with the photos you send by doodling on them or adding text or draw a smiley face, turn your friends into memes, and mix in some color. 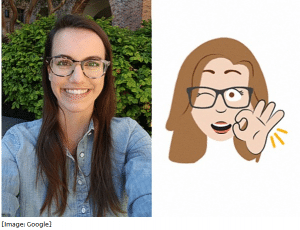 Adding a new feature turning a selfie into an emoji, Google says that the algorithms powering the new tool are powerful, machine-learning technologies that could generate 563 quadrillion different faces. The search giant is using neural networks, which is a computer program that simulates a human brain, to create the custom emoji. I love how Google Inbox’s icon is shown there, when they are killing it. Good catch indeed! Inbox is gone but smart reply works with Gmail now.